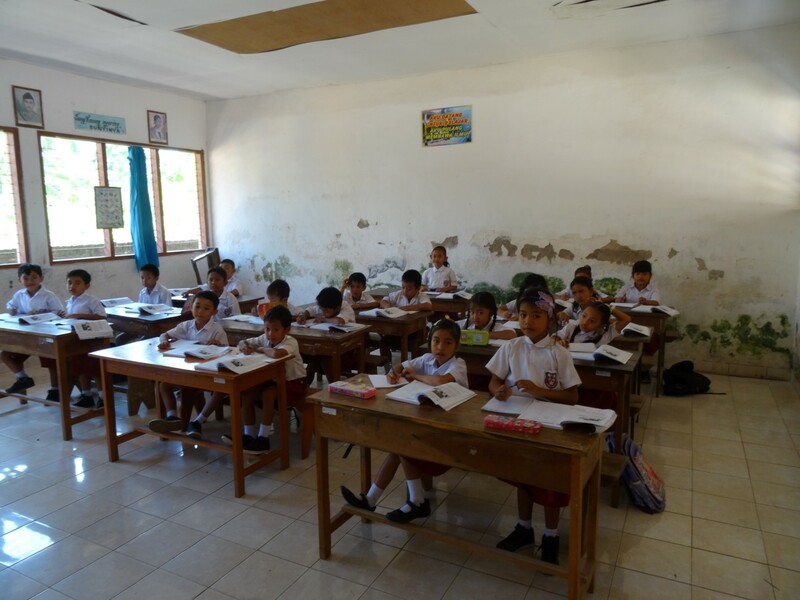 As 100% volunteers we finance the education of over 150 children on Bali, Indonesia. Unfortunately many families lack sufficient financial means for the education of their children; while we take it for granted that our children receive a good education. The income of many families is often not much more than a few Euros per day. But since Balinese parents really value the education of their children, they sometimes go the bank for a loan to pay the costs for the school. Money they often cannot repay, so their debt grows every year. It is also quite common for children to work in their spare time, to earn some money, such as selling souvenirs on the beach. 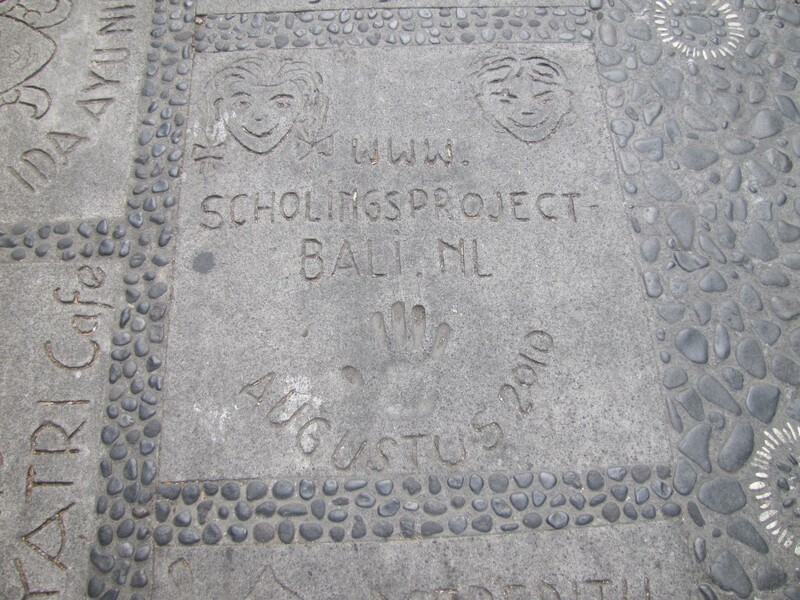 Education up to the age of 15 (SD=Sekolah Dasar=primary school, and SMP-Sekolah Menengah Pertama-junior high school) on Bali is free of charge, there is no school fee. Still there are a number of obligatory expenses for the parents: money for books, school uniforms, sport clothes and shoes, transport to school, food. This adds up to for us the quite modest amount of € 100 (primary school), and to approx.€ 135 (junior high school). Not really much for good education. After the junior high school, the children can continue with the senior high school. Although not obligatory any longer, most parents will stimulate their children to continue, since this offers much better changes in life. This SMA (Sekolah Mengah Atas) or SMK (Sekolah Mengah Kebangsaan) is another three years, and more expensive. Depending up the type of school, this can add up to about 300€ in the first years, and often the same amount in the final year. Since we do not want to raise the sponsor amount of 135€, the foundation builds up a reserve from our regular sponsor income, so we can support these children when and where needed. Say “Yes” and adopt a child financialy and support it while it goes to school. Join us and receive several pictures and all relevant information regarding the school and the child you’ll be sponsoring. I am Putu Diana Wati, I’m 7 years old and live with my grandma in Munduk Bestala in the north of Bali. Recently I’ve been able to go to school and I’m now in the first grade. I’m very happy I can go to school now. Sampai bertemu! We are very proud we are a part of this project and we’ve been able to see with our own eyes how important this project is for the local community and the positive impact it has on the future of these children. Especially the small scale and intensive and passionate dedication of everyone involved combined with the efficient use of sponsor resources is what attracts me to the foundation.